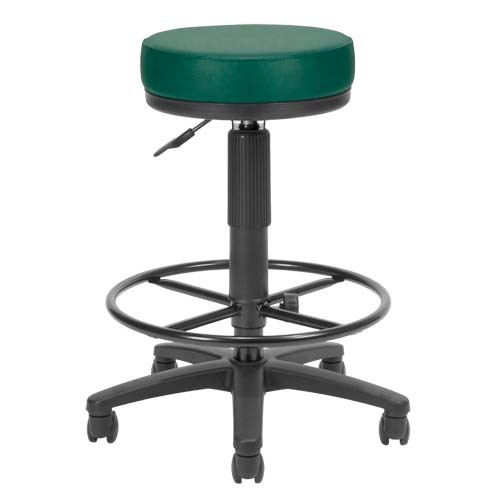 More on the OFM UtiliStool Vinyl Anti-Bacterial Computer Stool With Drafting Kit (Teal) 902-VAM-DK-602 below. OFM's 902-VAM-DK Anti-Bacterial and Anti-Microbial UtiliStool with Drafting Kit is a wonderful solution for labs, drawing rooms, studios and light computer work. Anti-bacterial, anti-microbial vinyl in Teal. Dual-track casters, offering easy mobility on hard or carpeted flooring.Gas-powered seat lift/height adjustment. *Also available in stain-resistant fabric. See "Related Products" for more information.